A female Afghan police officer has shot dead a US military adviser in a high security police headquarters, a senior police official said. This is the first green on blue attack since September and the first ever in Afghanistan involving a woman. Afghan officials have identified the attacker as Police Sgt. Nargas, a mother of four who had a clean record. "Her background is very clean. We don't see that she had any connection with armed insurgent groups,'' an interior Ministry Spokesman, Sediqi Seidiqqi, in an interview with AFP. He added that she aroused no suspicion because she frequently went back and forth on business between the compound and the Interior Ministry where she worked. She fired only one shot that fatally struck the American in the chest, Seidiqqi said. She had previously worked in a human rights department of the police and had been a refugee in Pakistan and Iran. Later the Interior Ministry reported that Nargas was an Iranian national. A police official confirmed that she was able to enter the compound with a firearm because she was a police officer. An investigation into the shooting is underway. The shooter was detained by her fellow officers after the incident but refused to answer questions as to her motive after hours of interrogation, Sidiqqi added. The American was a civilian worker who worked in NATO command, spokesperson US Air Force Lt. Col. Lester T. Carroll told AP. The woman has so far refused to explain her motive for the attack. It is currently unclear if the contractor’s death was intentional or accidental, Deputy Police Chief Mohammad Daoud Amin said. Afghans have been deeply shocked that a woman was responsible for the shooting. “This is the first female to carry out such an attack. It is very surprising and sad,” Nasrullah Sadeqixada, an independent member of parliament, told AP. According to NATO 1,400 women were serving in the Afghan police and 350 in the army by the middle of 2012. While this is a very small proportion in comparison to males, it is a significant gain in such a conservative society as Afghanistan. Under the former rule of the Taliban women were virtually prisoners in their own homes and were severely punished for breaking the harsh code of living imposed on them. 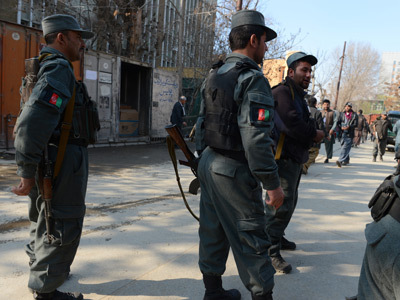 The shooting came just hours after an Afghan police officer opened fire on five colleagues at a checkpoint in the country's north. 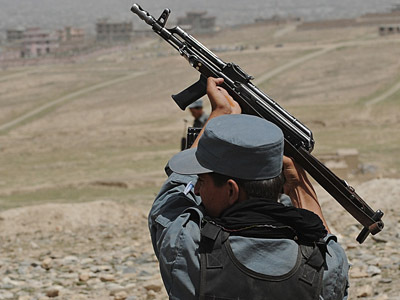 The attacker then stole their weapons, and fled to join the Taliban, the local deputy provincial governor said. 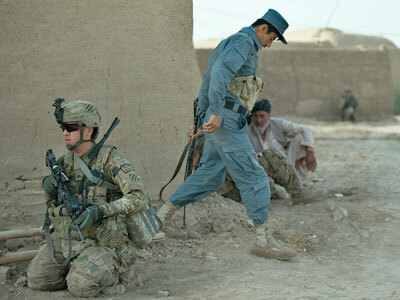 In mid-September, three similar attacks took place in Afghanistan over a single weekend, killing eight NATO troops. 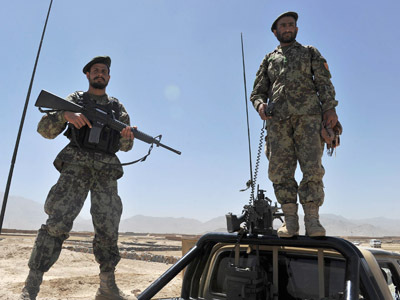 The surge in such attacks is throwing doubt on the ability of the Afghan security forces to effectively take over from NATO troops when they begin to withdraw next year.